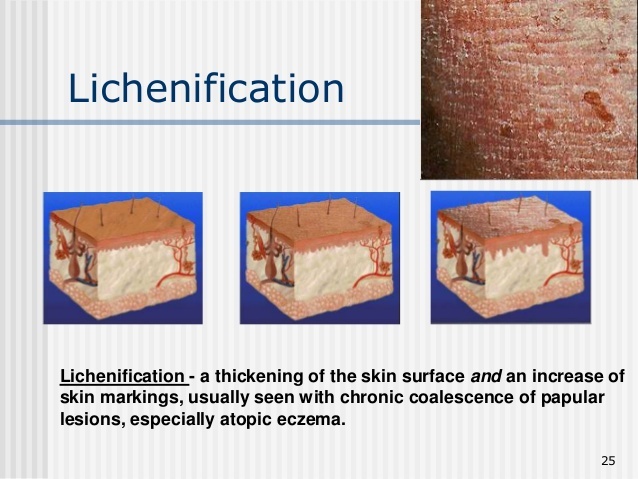 If you suffer from a dermatological condition known as lichenification, you are not alone. There are many people across the country – especially those who have other skin conditions – also have this issue. In fact, reports that in one study, the research found that around 12 % of patients with a pruritic (itchy) skin ailment had lichenification as one of their symptoms. 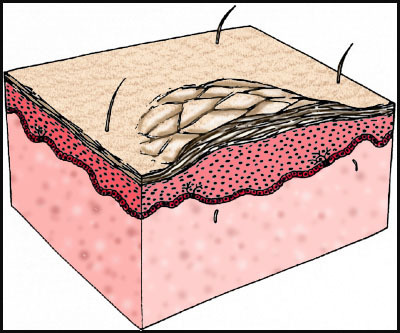 This is a skin lesion that occurs on your body in the area of chronic irritation. When a person has this skin condition, their skin tends to thicken in response to the irritation. Lichenification is not a fatal medical condition, but it can be painful. If it is invisible location if may attract attention that is unwanted. It is very prevalent condition and one that anyone of any age, gender or race can get. It is not a perpetual medical ailment, but it will be there as long as you continue to rub or scratch the affected area of skin. Skin that can grow shiny and ooze or it could be scaly and dry if you lose too much moisture in your skin. Your skin may get a flaky or leathery look that will not disappear even when you have treatment. Many people who have lichenification suffer from an itch-scratch cycle. What it means is when their skin is irritated they start to pick and scratch at it causing their skin to thicken this cycle again defensively. When the skin thickens doe not break this cycle but usually leads to more itching and scratching. A well-known reason for someone to develop lichenification is due of eczema, but it can also appear in response to other skin conditions that are chronic/re-occurring. It can also appear as a result of rubbing and chaffing. A person can develop lichenification if to hey have allergy problems. Having lichenification can also arise on what seems to be healthy skin if you start to rub to cut, burn, pimple, scratch m patch of herpes simplex. The body’s inflammatory reaction is also believed to be part of the lichenification process. The patient’s immune system often has a component to play on this issue. There is an also a psychological factor to this matter and people who have obsessive-compulsive disorder, anxiety, depression are also at greater risk. Lichenification is not contagious nor is life-threatening, It is also important for patients to understand that lichenification is rarely a condition in and of itself. It is often secondary to another skin issue. Taking drugs, over-the-counter or prescription, to help relieve the itching sensation. Taking sedation to help you stay less often. Occasionally your physician may have to wrap or bind the site to make it difficult for you to pick at it or scratch at it without recognizing you are doing it. ← What is Actinic Cheilitis (AC)?